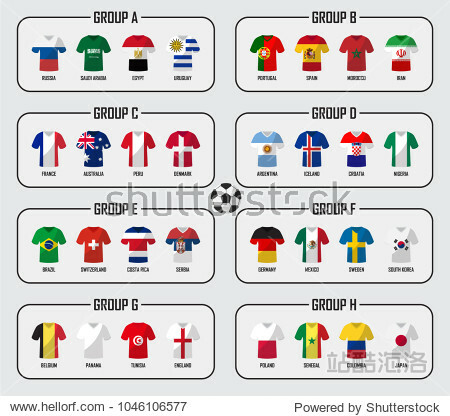 Soccer cup 2018 team group set . Football players with jersey uniform and national flags . Vector for international world championship tournament .